Benefit has just released a brand new foundation, and I've been testing it out over the past few weeks. It has a mouthful of a name (Benefit Hello Flawless Oxygen Wow Brightening Makeup), but really, the WOW part is right. 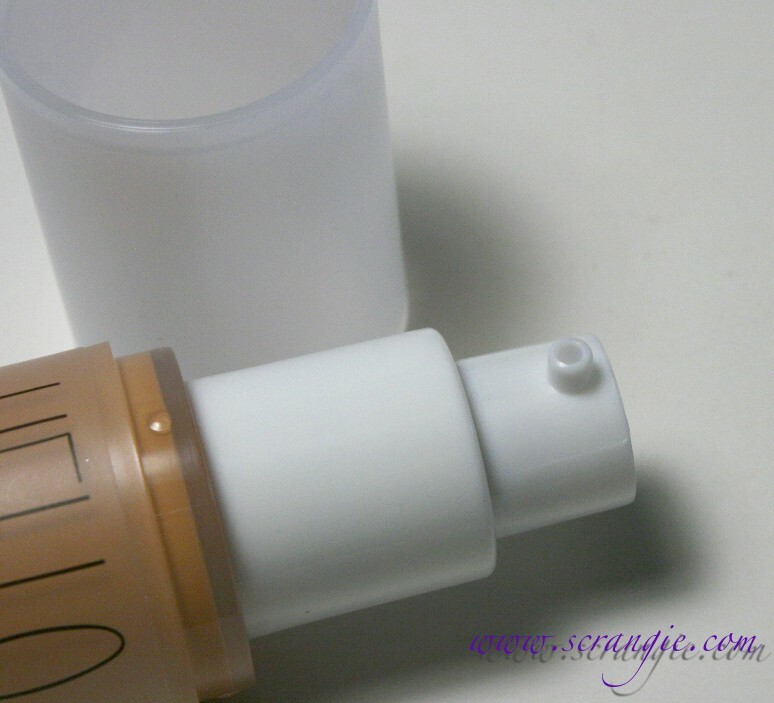 I wasn't impressed with the last brand of oxygenating foundation I tried, so I was skeptical about this... But after using this, I think my holy grail Revlon Colorstay foundation has some serious competition. 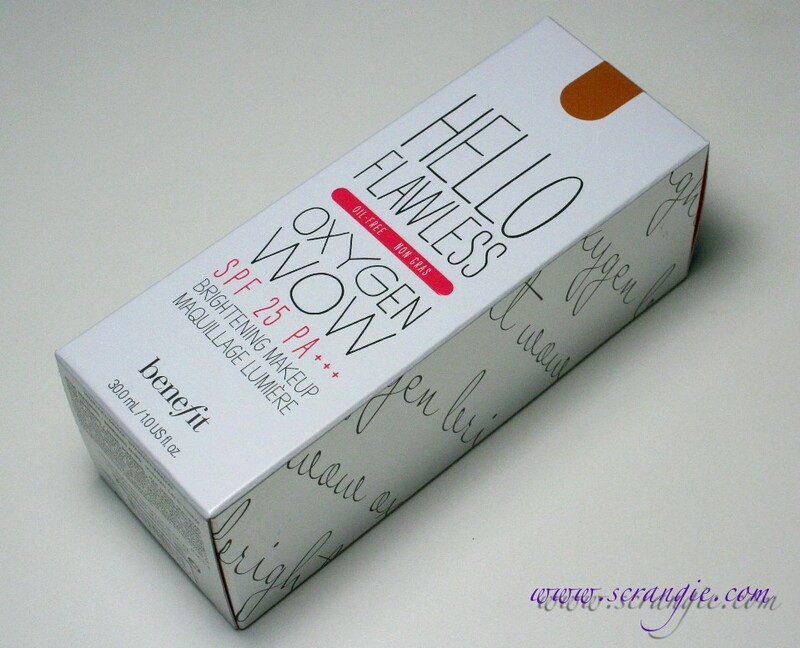 Benefit's new Hello Flawless Oxygen Wow is described as lightweight brighetning formula that's oil free, buildable, natural-looking and contains a respectable SPF 25 PA+++. 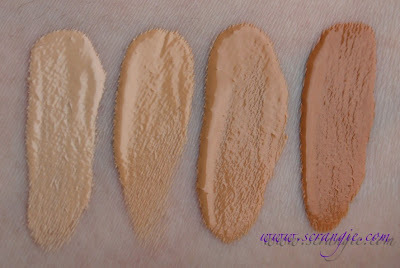 Ivory (I'm pure for sure), Petal (I'm plush and precious), Beige (I'm all the rage), and Amber (I'm so glamber). The bottles are clear so you can see the shade, but they do have name stickers on the bottom as well. The Oxygen Wow foundation comes with a pressure pump (no stem) and the bottle contains a full ounce (30 ml) of product. 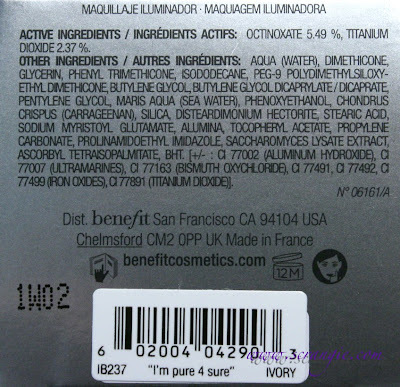 The ingredients are not listed on the bottle, but there is a full list on the bottom flap of the box. The shades I have are Ivory, Petal, Beige and Amber. As you may be able to tell from the swatches, this is a very wet, lightweight, runny formula but the coverage is surprisingly good. It's the most wet/liquidy foundation I've ever used, but it's by no means watered down. I didn't think you could get such good coverage from such a thin formula, but apparently you can! My closest color match is Ivory, but it's borderline close to being a little too dark. Petal is too dark for me right now (winter), but I think it may suit me well in summer. My skin is not oily, nor is it excessively dry. I do get dry/rough patches occasionally, I have some freckles and red spots that I try to cover, and I usually break out from sunscreen ingredients, mineral oil and salicylic acid and those are main skin concerns. I apply my foundation over moisturized skin (I'm currently using the Origins Mega Mushroom line) and I use a damp Beauty Blender sponge to apply it. I've used this foundation in Ivory for a few weeks now and I have to say, I really do like it. Shocking formula. It's extremely thin and light- it's the runniest formula I've ever used- but it gives fantastic coverage. I didn't think that was possible. It has buildable coverage. You can apply a small amount for a sheer (think tinted moisturizer) look, or a little more for medium/borderline full coverage. Even when applied with my fingers, it doesn't accentuate or stick in the dry/rough patches of skin on my face. It makes my skin look smooth and glowy. You don't need to use very much product to get good coverage. Half a pump was too much when I applied with my fingers, one full pump is just about perfect when using a sponge. The foundation doesn't oxidize or change colors on me. It really is brightening and I feel like my skin looks so much nicer when I'm wearing this. It's brightening without having sparkles in it like some foundations I've tried. It doesn't feel or look heavy even when I apply too much. It is very light and I don't even feel it on my face after it's applied. You get a full ounce of product for a modest price ($34). The pump dispenser is sanitary and prevents waste. The sunscreen in this didn't seem to make me break out like they normally do. 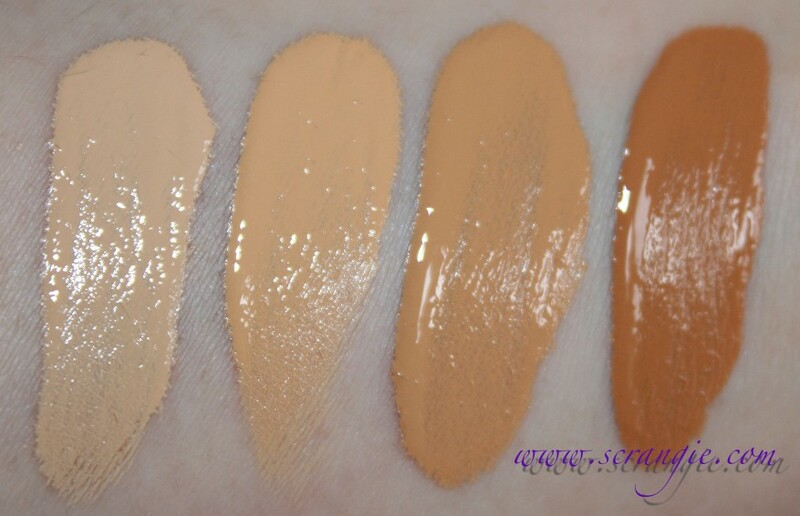 The line seems to have a good selection of shades for darker skintones. The foundation has a dewy finish. I don't like dewy finishes, so I need to use powder when I wear this. The foundation gets really shiny after a few hours. I normally carry blotting linens and powder with me for emergencies, but with this foundation, they're a necessity. The Ivory shade is almost too dark for me, but it's the lightest shade in the range. It has really good coverage, but it doesn't cover everything. I can still see some of my freckles through this. Honestly, I didn't expect to like this as much as I do. I was worried that it would have poor coverage because of the runny formula, so it was a pleasant surprise the first time I applied it. I wish that it didn't get so shiny on me after a few hours, but I can deal with that one flaw because it makes my skin look so nice. I still love my Revlon Colorstay (has more coverage), but this is the first foundation I've used in quite some time that has come close to usurping it as my favorite foundation. I would buy this again for $34, I think that's very reasonable. I can tell you right now that when my current bottle runs out, I'll definitely be picking up another. It makes my skin look so smooth and bright and that's something that I don't get with Colorstay. 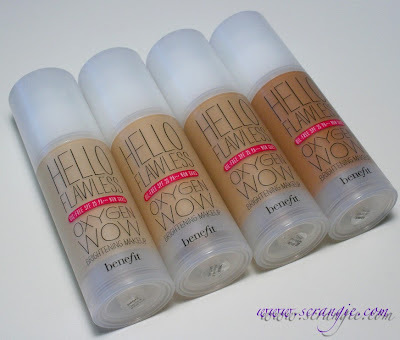 Benefit Hello Flawless Oxygen Wow Brightening Makeup is available now on Benefit's website. It's $34 for 1 oz (30ml) and it is a permanent addition to the line. I'm happy to hear you like it! You like it too, that's awesome! I was also impressed with the finish it gave me- I'm used to my foundations making my skin look a little rough, but this seemed like it blurred my skin, making it look way more smooth and glowy than it actually does, very pleased with it! I was "eyeing" this one for a while yet you just confirmed my one concern lol ! DEWY finish I totssss dislike it lol ! but yet Benefit has very nice products ! Thanks so much for a great review. I have been waiting for quite a while for this to come out. 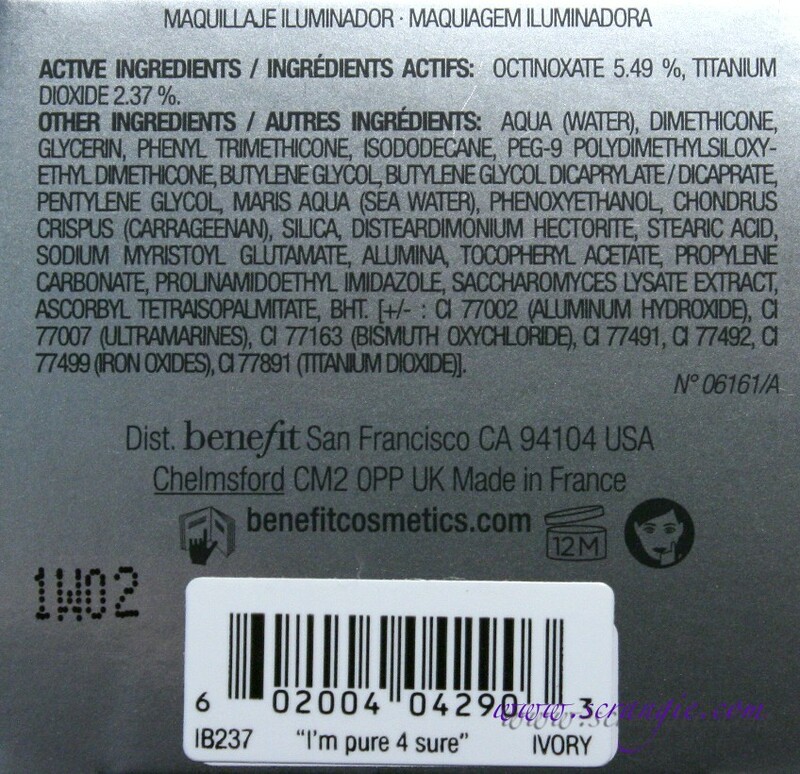 I wanted to get a sample from Macy's (the Sephora near me did not have it yet) but was told they don't give samples. The girl did offer to try it on me however. Your review really helped with the shades. I'm "Honey" in the Flawless powder. I think Petal will be a good match. Thanks again for the awesome review. I love your site, it is on my daily must read. Keep up the great work! I'm looking for a liquid foundation so this might be something to pick up, though I would definitely swatch before hand as Ivory looks too dark for me. what shade are you in mac, for reference? I actually don't know- I've never bought a MAC foundation or concealer. I'm Fair in Bare Minerals if that gives you an idea. Sorry!